Thanks to John Evans for allowing me to use this shot from his collection. It shows Plymouth City Transport OCO512 Leyland Titan PD2/40 MCCW H30/26R new May 1958. 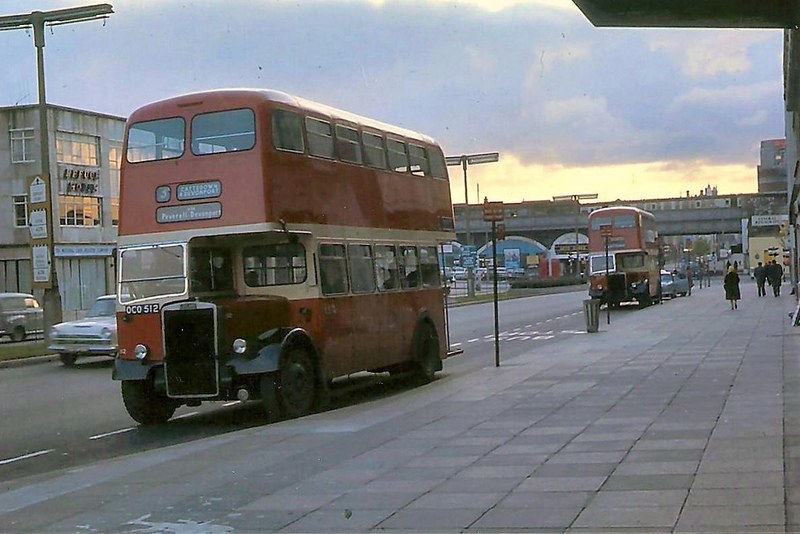 So much has changed in this view but it is still recognisable exactly where this photo was taken and buses still stop there today. The buildings on either side of the road are still there. Its behind the bus that has changed almost beyond belief. The most obvious change is the bridge in the background has gone. There is a bridge there, its just a plain pedestrian footbridge between Toys R Us on the right and Plymouth Pavilions on the left. The bridge in this shot is a much grander rail bridge which carried the main line into Millbay Station just up to the left of this shot. 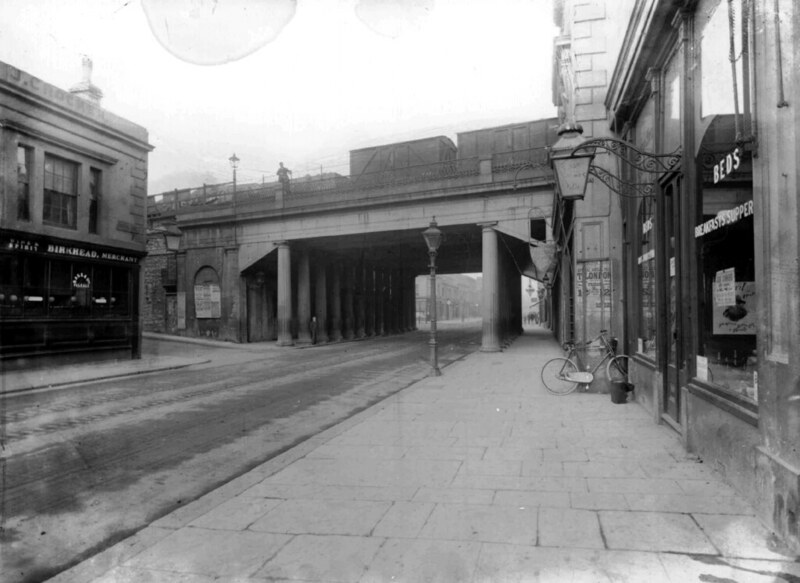 Union Street Bridge from the other side date unknown from the Cyber Heritage collection. I believe that the carriage sidings at Millbay closed in December 1969 and the only trains after this were good trains to Millbay Docks (which ceased in June 1971). The BR Mark 1 coaches on the bridge are painted in the blue and grey livery that was only used on stock after the XP64 prototypes were introduced, so generally from 1965 onwards. Thus in my opinion the picture was taken sometime between 1965 and late 1969. Finally, the Union Street railway bridge was demolished in 1974.